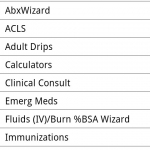 There are three alternatives to UpToDate physicians should consider. 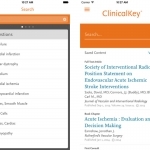 neuReference is an app developed to help medical students on their neurosurgery rotation, junior neurosurgery residents and those who are rotating through neurosurgery as residents. Plagiarism is an all to frequent occurrence on the app store. 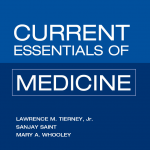 Recently, three doctors stand accused of plagiarizing a popular textbook and face charges that may lead to losing their medical licenses. 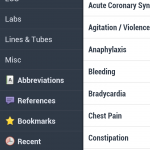 Messil’s app, “MD on Call,” finally reaches the Android platform. 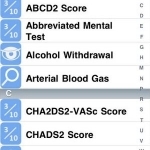 A perfect app to guide and help the desperate and inexperienced intern or resident. 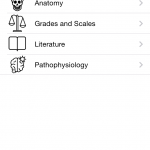 app review written by a third-year medical student for Patient Safety Manual, a medical reference app by Guy’s and St. Thomas’ NHS Foundation Trust. 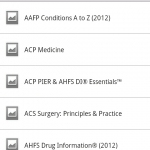 The app is compatible with iOS. 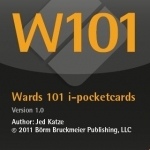 A review of a Wards 101-ipocketcards, which covers common ward issues for internal medicine, critical care, and emergency medicine. 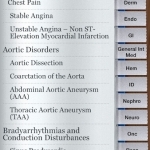 A review of the iPhone/iPad Current Essentials of Medicine app, based on the handbook that distills information into one-page-per-disease. 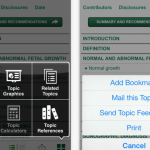 While the app is well done, it is clear that a great handbook doesn’t necessarily make a great app.